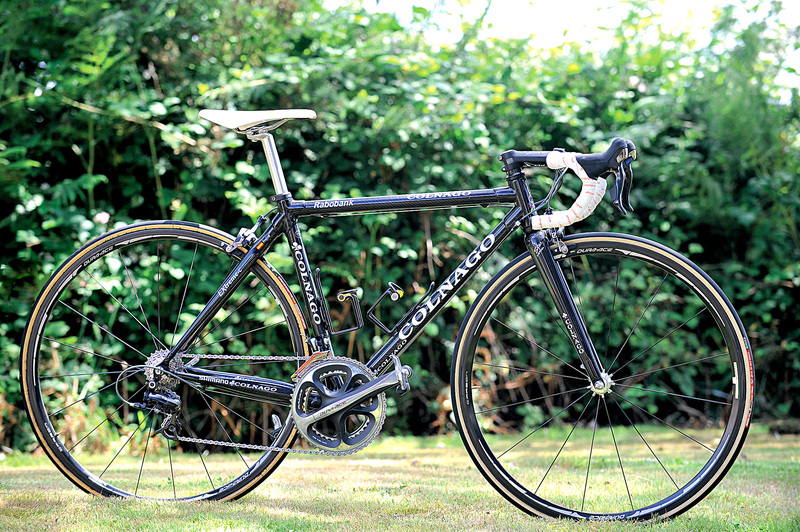 Spanish sprinter Oscar Freire’s Colnago Extreme C may appear to be nothing unusual, but the according to his Rabobank team mechanics he is very particular about the tweaks on his bike compared to the other team riders’ machines. The frame – according to his mechanics – is not dissimilar to one that can be bought from a local dealer. Shimano?s newest 10 speed Dura Ace 7900 groupset was fitted just a few days before the start of the Tour, but with its lighter weight and presumed improved shifting Freire was keen to fit the groupset himself. The only deviation being minor, with Koolstop?s carbon-specific brake pads inserted into the shoes. Freire’s bike weighs in almost on the dot of 7kg. Personal choice of saddle and post gives the perfect position. You don?t have to look far to see differences from the team’s sponsored kit fitted to the bike, the most obvious is the saddle. 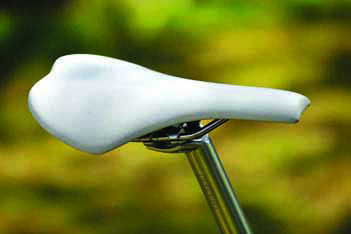 This Selle Italia SLR looking saddle with the nose cut off has been covered in a plain white synthetic cover, differing from the ProLogo sponsored perches available to him. Almost overlooked after the saddle is the seat post. 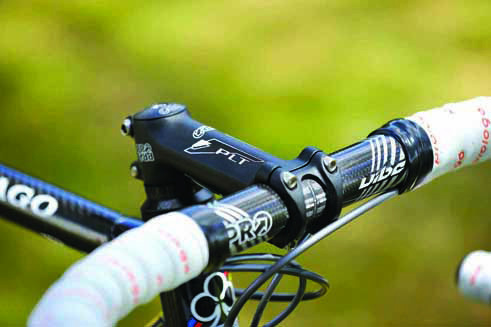 Here, instead of the carbon Pro being used by the rest of the team, Freire has chosen to use an Ultegra post on all his bikes. The reason for this is that he likes to adjust his bikes himself rather than let the mechanics fettle his machinery and as such, finds the Ultegra post easier to adjust and get the position correct on all his bikes. 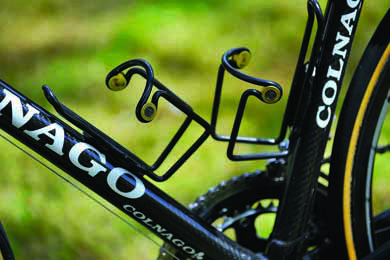 Bottle cage choice aids Frieres bike fit. Another less obvious change is the bottle cages, instead of the ultra light Elite carbon cages he has opted for heavier aluminium Elite cages. Again his reasoning is about fit. Not so obvious with a cage, but Freire?s legs come inwards as he pedals and they catch the bottle cages, the Elite aluminum ones are less obtrusive to his pedalling style than the carbon ones. The tyres are also cause for interest, looking like a Vittoria Corsa CX tread pattern the carcass does not with the natural colour of the threads exposed rather than the usual black coating. 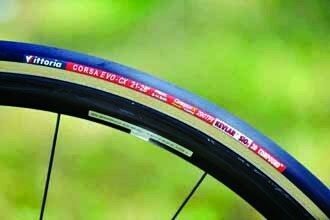 In fact, they are Vittoria?s carcasses but Rabobank requested the tyres not be coated as this reduces the suppleness of the tyres that the riders were after.